A month before the whole word celebrates Christmas, one of the metro's go-to hotel destination, Golden Phoenix Hotel Manila, sparked up their lobby and filled it with more warm and welcoming arrangements highlighted by a 10-foot Christmas Tree. Dubbed as "Holly Jolly Christmas," Golden Phoenix Hotel Manila light up their modern-style Christmas Tree with their Chief Executive Officer Mr. George Chou, General Manager Mr. David Li and Director of Sales and Marketing Ms. Christine Ann Ibarreta last Tuesday, November 21. Aside from the ceiling-high Christmas Tree, Golden Phoenix Hotel Manila also showcased the latest art display on their reception area - a masterpiece by Mr. Jhon Gorme, this art piece shares a picture of a golden sarimanok, which symbolizes the brands color and the kind of hospitality that the hotel offers. I got a chance to talked to Ms. Ibarreta about this, and as I told her, this painting reminds me of the recently talked about national costume of our candidate, Rachelle Peters, in the upcoming Miss Universe 2017 beauty pageant on Monday. 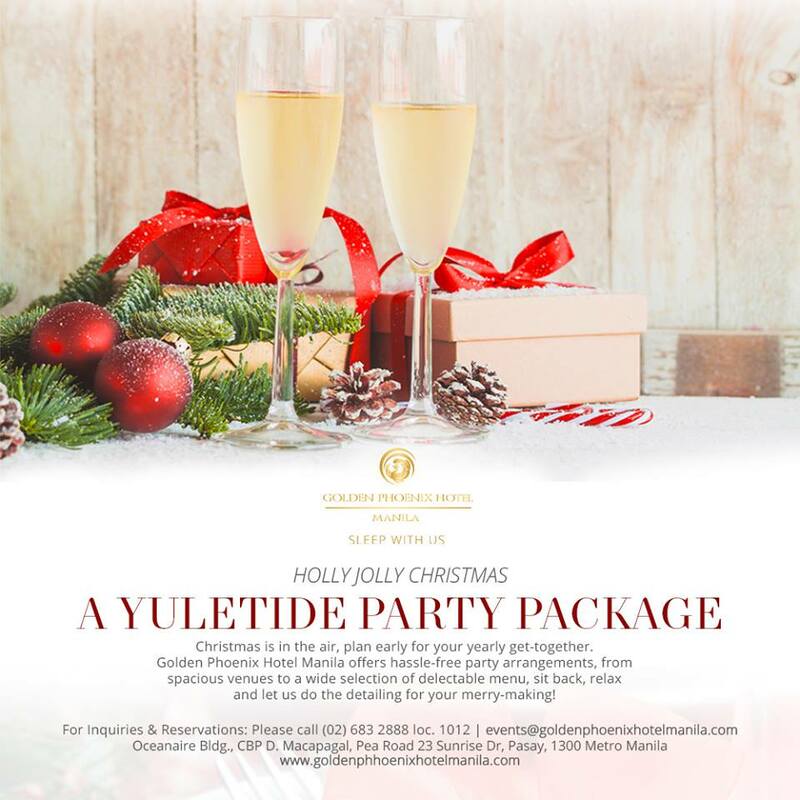 Along with these Yuletide cheers, Golden Phoenix Hotel Manila is also inviting everyone to sleep with them and try their Yuletide Party Package. Enjoy one of Golden Phoenix Hotel Manila modern and elegant accommodation with free WiFi access throughout the property. A stone-throw away from Mall of Asia Arena and the famous SM Mall of Asia, guest could enjoy heartwarming Filipino hospitality and other hotel amenities at your own convenience. For further details and bookings, you can visit their official website http://www.goldenphoenixhotelmanila.com or you can follow them on Facebook https://www.facebook.com/goldenphoenixhotelmanila/.